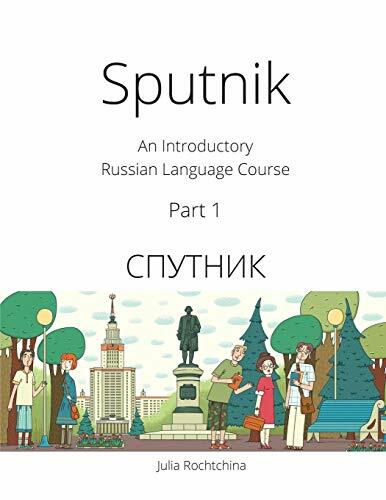 Sputnik (Part 1) is an introductory Russian course designed to develop basic reading, writing, listening and communication skills. The author provides a step-by-step introduction to Russian with clear and simple explanations of grammar and sentence structure. Audio materials recorded by professional Russian narrators and actors help learners to acquire proper pronunciation. Interactive online activities and a friendly interface for learners and instructors with automatic grading of exercises and tests are designed to support effective learning and teaching. The full package includes a textbook, workbook (sold separately) and free access to a complementary website sputniktextbook.org. Part 1 covers one semester of the university course. Dr. Rochtchina teaches Russian at the University of Victoria, Canada.She is also known for her online tutorial RussianForEveryone.com, which is visited by 300,000 people each year from all over the world. If you have any questions about this product by TLT Network Inc., contact us by completing and submitting the form below. If you are looking for a specif part number, please include it with your message.